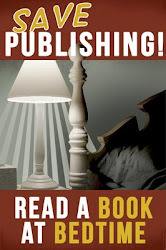 From the back of the BOCD: Award winning novelist Nevada Barr sends her remarkable sleuth, Ranger Anna Pigeon, to spectacular national parks to solve baffling crimes. In LIBERTY FALLING, Anna leaves the rugged countryside of Colorado to face the concrete wilds of New York City. As soon as she hears her older sister is gravely ill, Anna rushes to the Big Apple to sit at her bedside. Between hospital visits, she relaxes at the park service quarters on Liberty Island and explores the crumbling ruins of Ellis Island where thousands of immigrants once were processed. Rest escapes her, however, when a teenage girl mysteriously plunges to her death from the Statue of Liberty--and Anna herself suffers a dangerous tumble. The Park Service claims the falls could only be accidents, but Anna wonders if there is a common purpose behind them. Nevada Barr's vivid descriptions and narrator Barbara Rosenblat's dramatic performance transport you to New York City to share in all the danger and the excitement. I think I like Anna Pigeon better in the wilds of her other assignments. I also like when she's actually working in the wilds of her other assignments. Anna, in this one, is in New York to look after her sister who is in the ICU in an uptown hospital. When she's not visiting her sister, she's wandering around Ellis Island and the Statue of Liberty. There be murder, of course, but it felt a little forced and the story meandered a tad. I had a hard time keeping track of the story and the players at times. Barbara Rosenblat's voice kept me interested and brought me back to the tale each time I meandered off the track. I loved the backstory on some of the employees and the eventual solving of the mystery was a good twist. I am glad this wasn't my first Anna Pigeon mystery, I might not have tried another. This is my 6th or 7th and I know the stories can be better, so will get more..in fact another arrived in the mailbox today from RecordedBooks. Yay! 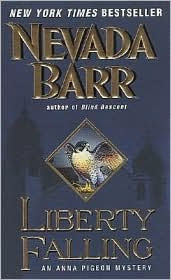 I'll have to check out Nevada Barr's books. I've never read anything written by her. Thanks for the review. Sherri: My favorite of hers is BLIND DESCENT. It's all about caving and is really really good. The ones in the National Parks are the best. I think you'd like her books.